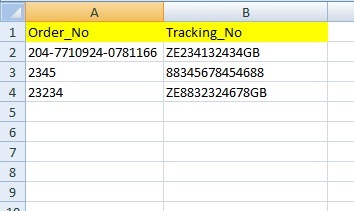 Many courier company offer tracking file download option on their website. If you not sure, contact the courier company and ask them where you can download the tracking CSV or Excel file for orders. CSV (Comma separated values) is a type of Excel file. Spreadsheets software like Excel will offer you the opportunity to save files with the CSV extension. 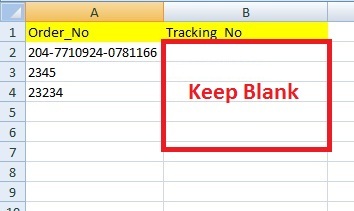 Open excel file and type order number in first column and tracking number in second column. As shown in below image. 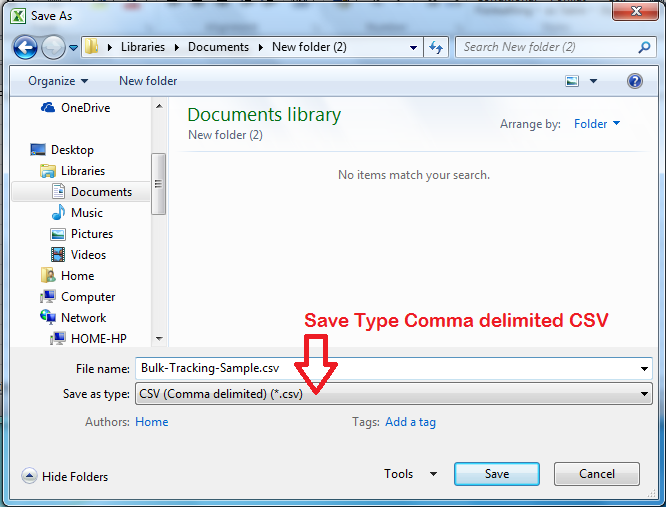 Save File Then select CSV (Comma delimited)(*.csv) from the drop-down list, and give it a name.